I don't give a frag if you meatsacks don't like cyberspace, you can bug-out chummer. I entirely expect nobody to post. Why didn't I make this server cyberpunk. I didn't see anyone begging to be on a hl2rp server either. Don't ask me, I am all for it. 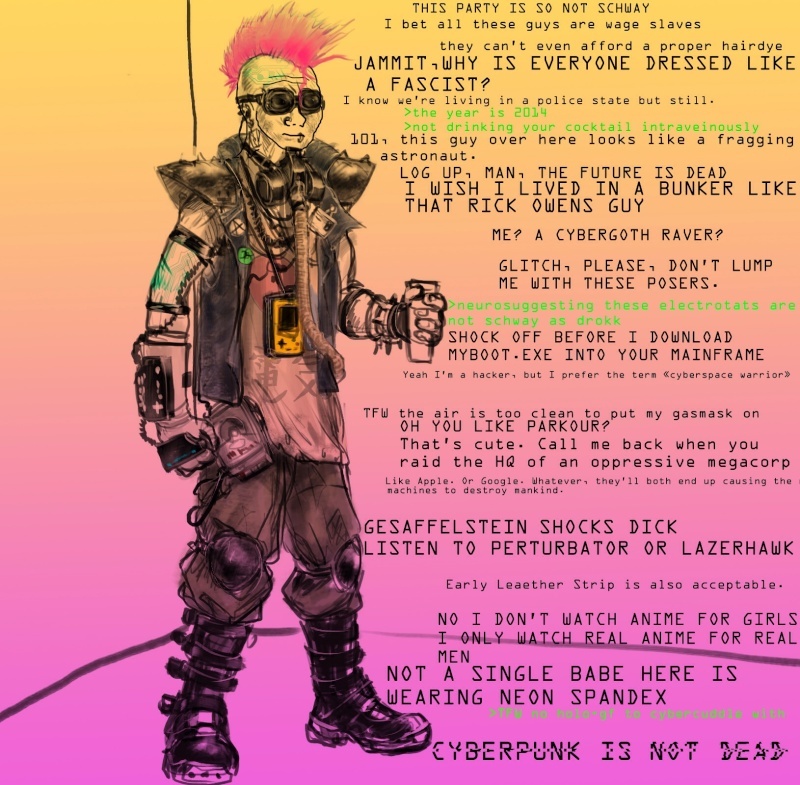 Subject: Re: Cyberpunk Appreciation Thread.